Breaking from the past, Finance Minister Arun Jaitley presented a historic Budget in which the Railway Budget was merged and the date advanced by a month. Trying to soften the demonetisation blow, the Budget for 2017-18 halved tax to 5 per cent on incomes up to Rs 500,000 but proposed a new surcharge of 10 per cent on incomes between Rs 50 lakh and Rs 1 crore. 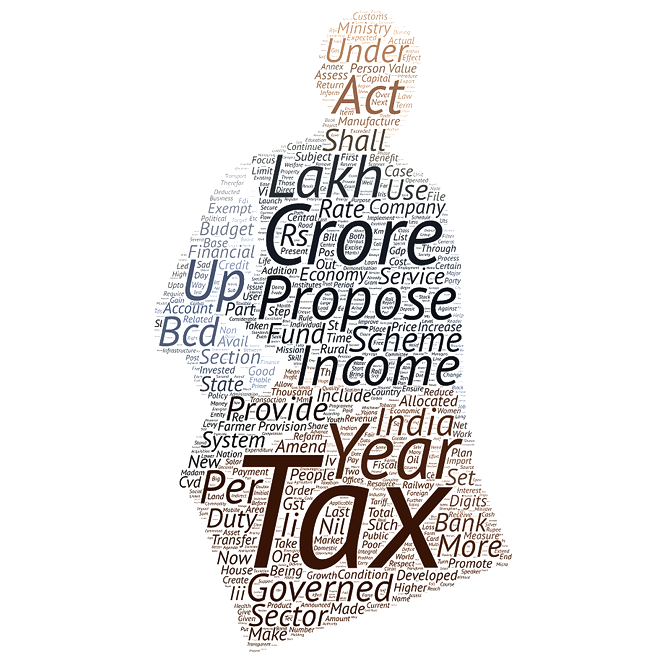 Rediff.com did a word cloud analysis (see the image below) of the Jaitley's Budget speech. The words that appeared more often in the speech included tax, income, lakh and crore.